Ireland is such a buzzing aviation hub with a rich history of milestones in flight, it’s no surprise that we’re hosting all the key events these days. The Future Travel Experience comes to the RDS, Dublin, on 26 – 27 June 2017, and ViaSat Ireland will be exhibiting. We’d love to meet you at the show, to learn about your projects in in-flight internet and wireless IFE, and to show you how our Flight Path to the Connected Aircraft can take any fleet from zero connectivity to IFC hero as schedules demand and budgets allow. 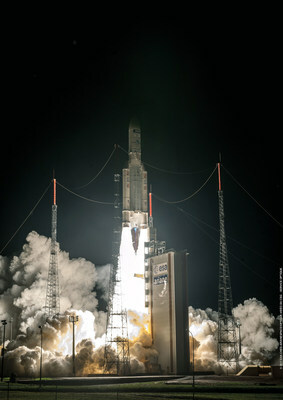 We’ve just launched ViaSat-2, the highest-capacity internet satellite ever built (we’re in the Guinness Book of Records!). When operational in Q1, 2018, ViaSat-2 will deliver 300Gbps internet connectivity across North America, Central America, the Caribbean, parts of South America and, crucially, transAtlantic air routes. We’ll soon deliver the REAL internet to airline passengers flying across the Atlantic, while also offering a range of connected services to airlines, in onboard entertainment and flight operations. ViaSat in-flight internet is recognised by RouteHappy as the Best Wi-Fi in the Sky. 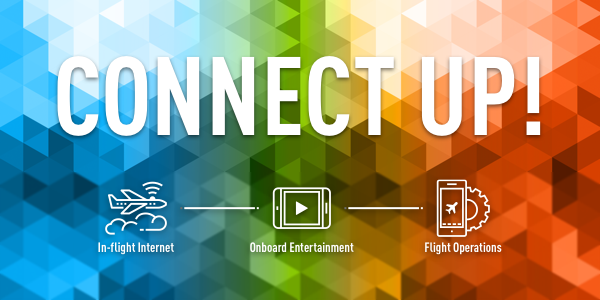 It would be great to meet up with you at FTE to learn about your IFC (In-Flight Connectivity) and IFE (In-Flight Entertainment) needs. We’re at booth E11, so just drop by or click on the orange button to arrange a time in advance, on Monday or Tuesday, June 26 – 27. It would also be super if we could take you out and show you Dublin city as only we locals know it! 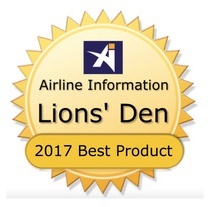 Our wireless IFE product recently won the award for Best Product, in the Lions’ Den at the 11th Annual Ancillaries Merchandising Conference in Palma (as voted by five airline ancillary execs), and we’ll be delighted to show you why it’s so awesome. Meet us at FTE Dublin for a demo of how ViaSat W-IFE delivers great passenger experience, while generating ancillary revenues quickly and easily. Our wireless IFE quickly turns a cost centre into a revenue centre, with a very short time-to-value. Our own high end, installed servers for the very best internet and IFE experiences. Just tell us about your particular needs and we’ll ensure a perfect product fit. Are you visiting Dublin for the first time to attend FTE? Let’s connect up! Welcome to our home town, we know that you’ll have an awesome time here! Check out our handy guide to the best that Dublin has to offer: Free Dublin Guide. Learn more about our wireless IFE here. Download our Tigerair Australia case study here. Request a meeting at FTE Dublin here. Watch the ViaSat-2 launch here.